FRIENDS! We have some amazing news. James Allen is having a sale and it’s right on valen-time! They have an amazing collection of pieces all 25% off! 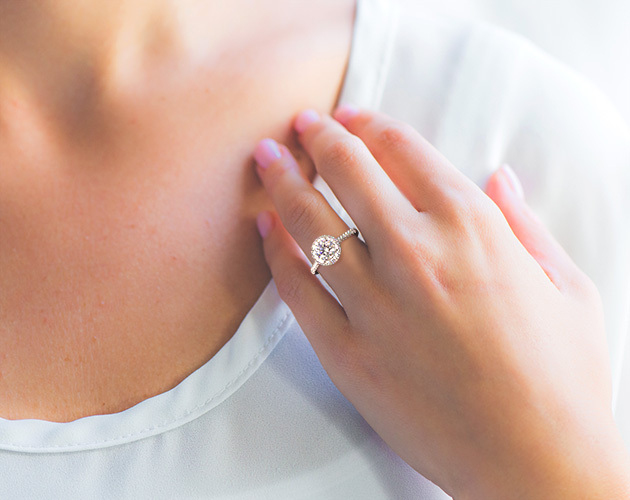 From fine jewelry to engagement rings, there are amazing pieces as low as $97 with the 25% off. Because this sale is just too good not to share, we’ve rounded up some of the pieces we’re adding to our own wishlists! We love a good pair of diamond studs — add a halo and we’re sold! These 14k rose gold cushion halo cluster stud earrings are gorgeously crafted into a cushion halo composite design, and make for a dazzling, stunning look. Also available is white and yellow gold. Smoky quartz is none to help you reconnect and relax. 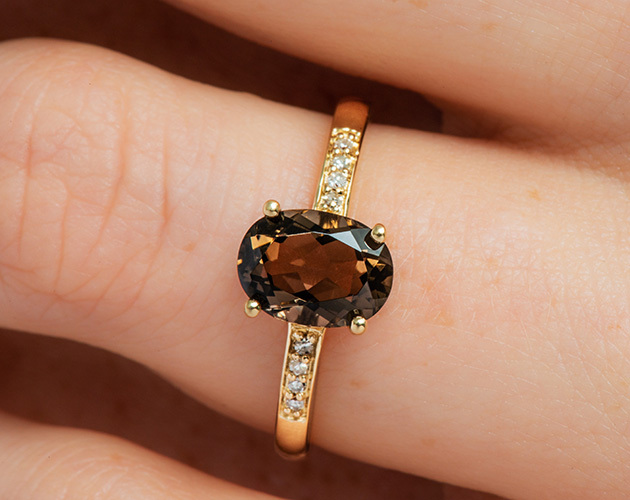 So whether you’re wedding planning or dealing with everyday stresses, this 14k yellow gold smoky quartz and diamond pave ring is a must add to your list. 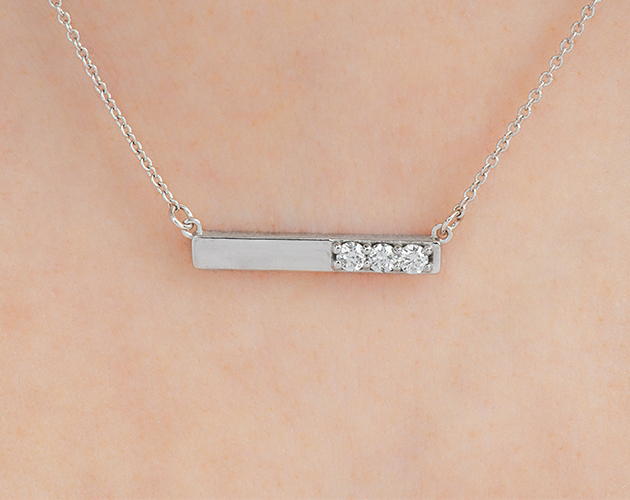 This minimal 14k white gold bar and diamond necklace immediately caught out eye. Perfect for anyone looking for something sleek and modern, while still offering a little sparkle. Also available in rose and yellow gold. Who doesn’t love a good tennis bracelet? Well, this 14k white gold bolo diamond bracelet is an amazing reinterpretation on a classic. Not only does it include brilliant cut diamonds, but it features a signature bolo clasp for an adjustable fit. 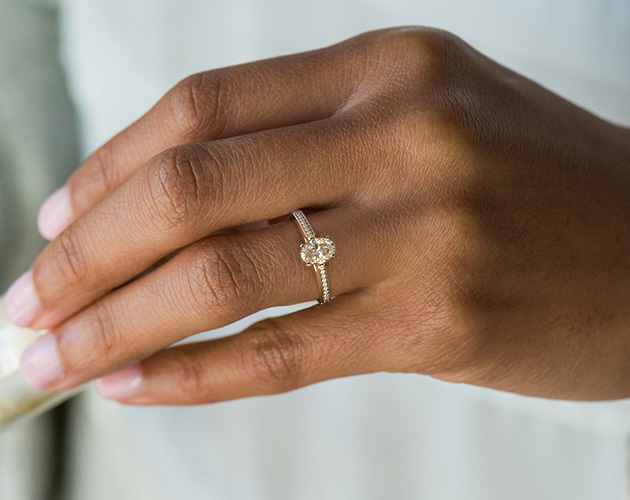 We couldn’t put together a list of our favorite jewelry pieces without including some fabulous engagement ring settings, of course! This white gold channel set ring features 26 round shaped diamonds mounted into the shank. Bring on the extra sparkle! 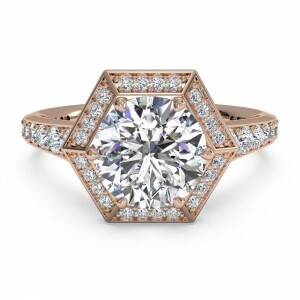 But if yellow gold is more your style, this falling edge pave engagement ring should be on your list. 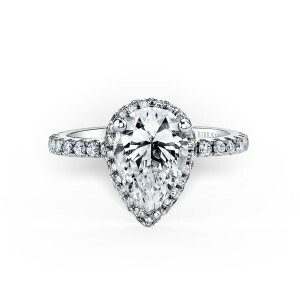 The best part might be that you can choose a center diamond or a gemstone to make the ring really shine. A yellow sapphire or green emerald are both great options! 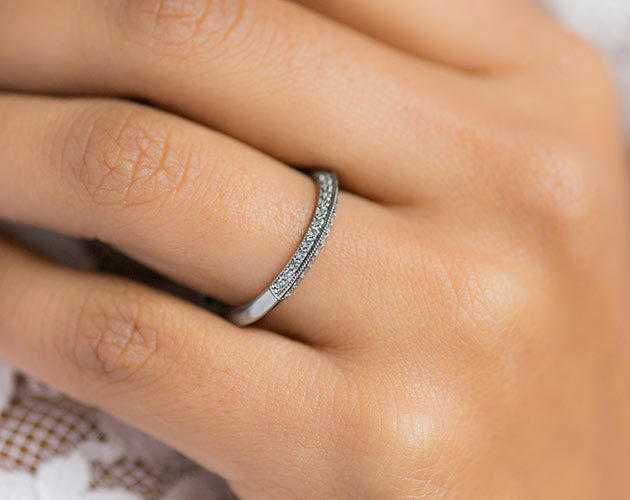 If you’re in the market for a wedding band, they’re part of the sale too! Something a little different like this platinum pave knife edge lotus band is a great option. 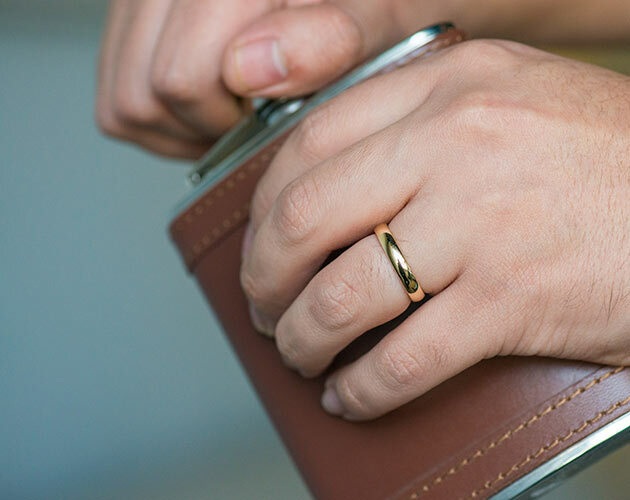 Or even a yellow gold 3.5mm slightly flat comfort fit wedding ring that’s perfect for him or her. Want to see more? 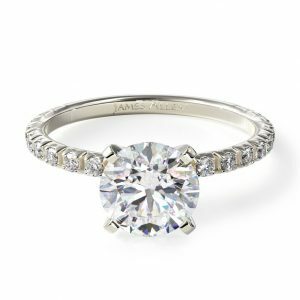 Head on over to JamesAllen.com to see everything that is on sale, including many more earrings, necklaces, rings, and even engagement rings. And don’t forget to share this sale with any of your friends, family members or partners who may need a little hint (wink, wink! ).